I hope all is well. I am not sure if you are aware of the passing of local UFOlogist and paranormal researcher Dan Lowenski. I just found out about it yesterday and felt compelled to address it. His wife Cathie informed me that he passed away on August 25, 2015 at Hospital. 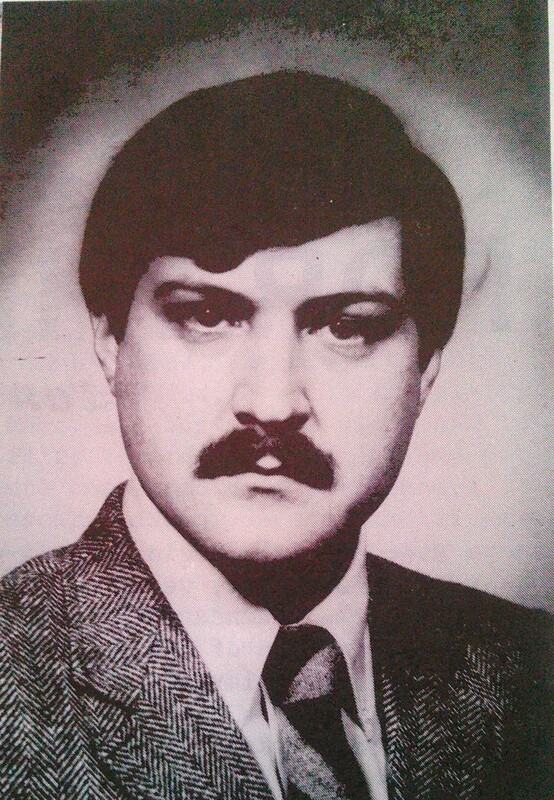 Dan was a passionate, dedicated and objective researcher who served as the New York State director of the Staten Island based SBI (Scientific Bureau of Investigation) which was founded by Pete Mazzola.. He is a former police officer and emergency management consultant who was one of their main investigators/researchers. he enrolled as an APRO Field Investigator and, later, after the SBI formed he became a Field Investigator for them as well. In only four short years he has been promoted twice and holds the title of STATE DIRECTOR of New York for the SBI. County Community College and a BS Degree in Criminal Justice from the State University College in Buffalo. He also holds cert. conduct proper and extensive type investigations using scientific equipment and techniques in order to accomplish the doc. and to ufology in the form of awards or through praise in The SBI Report. project and exercise of its kind in the world. investigation. We had a great time. since 1976, coinciding with the beginning of his 15 year career in law enforcement. NNYPRS and serves as an advisor, trainer and investigator. to the nuclear and pharmaceutical industries as well as the Washington DC Metro Transit Authority’s Police, Safety and Legal divisions. In October 2011, I lectured with Dan at the Plattsburgh, NY Paranormal Expo. 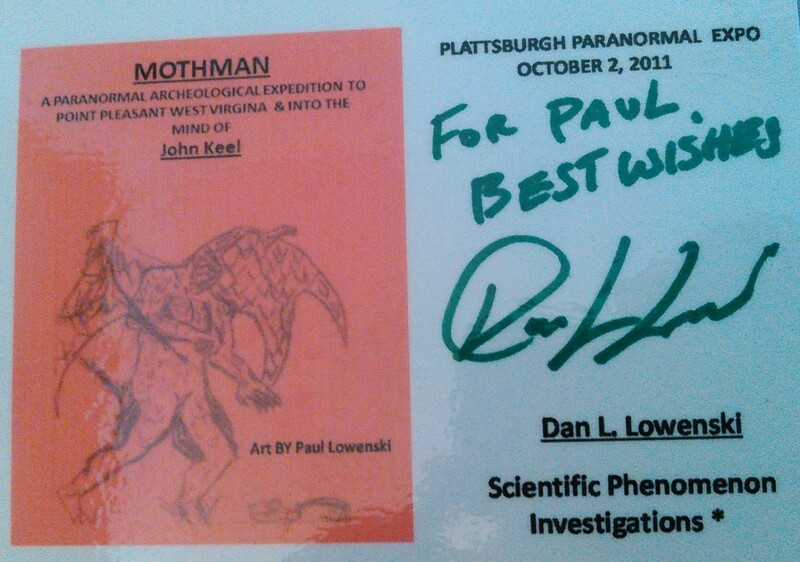 Dan presented a talk called “Mothman: A Paranormal Archeological Expedition to Point Pleasant West Virginia and Into the Mind of John Keel.” His son Paul did the artwork for the cover of his presentation. Always crafty, Dan constructed a life-size replica of Mothman and unveiled it there. His wife informed me that it has since been donated to the Mothman Museum. Dan also had a great passion for science fiction and was known in his neighborhood as “Mr. Halloween” because of the intricate and assorted Halloween designs he built and proudly displayed for that holiday. Dan’s interest and dedication to paranormal studies continued to the end. We both attended the 2014 Cherry Hill, NJ MUFON Symposium where my fondest memories are of having a lively discussion on various aspects of the paranormal in the hotel restaurant with our wives. Dan wasn’t only a dedicated researcher/investigator, he was a fun person and very well-informed personality who could talk with ease on a variety of scientific topics. It is hard to believe that this vibrant and intelligent original thinker has passed away. He will be greatly missed by his family, colleagues and friends. Dan, thus specifically, did cryptozoological studies of John Keel and Mothman. 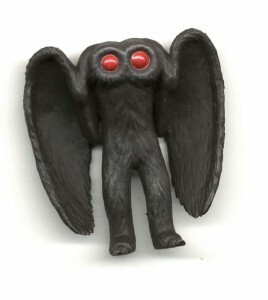 For the 2011 Plattsburgh talk, he had multiple visits to Point Pleasant and had interviewed various alleged Mothman witnesses….That was where he unveiled the Mothman replica which has been donated to the Mothman Museum.